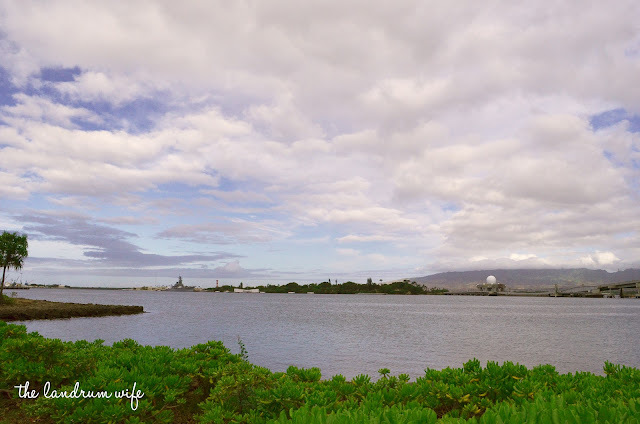 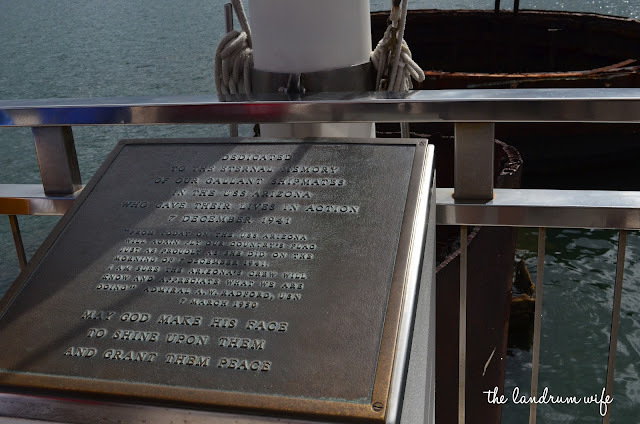 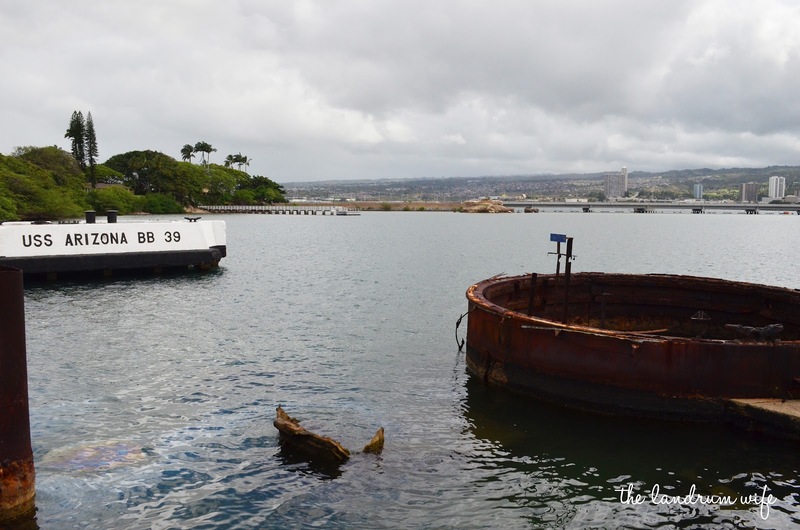 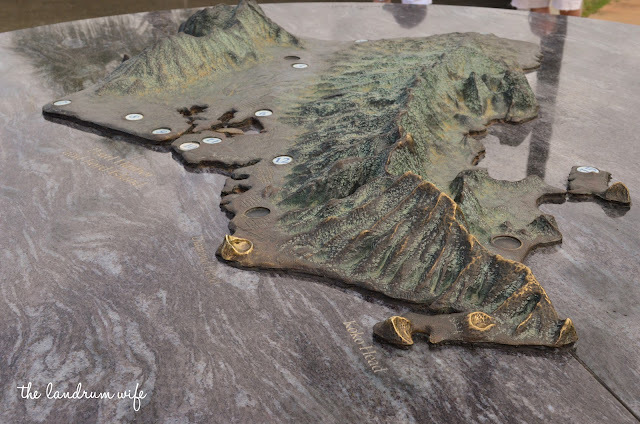 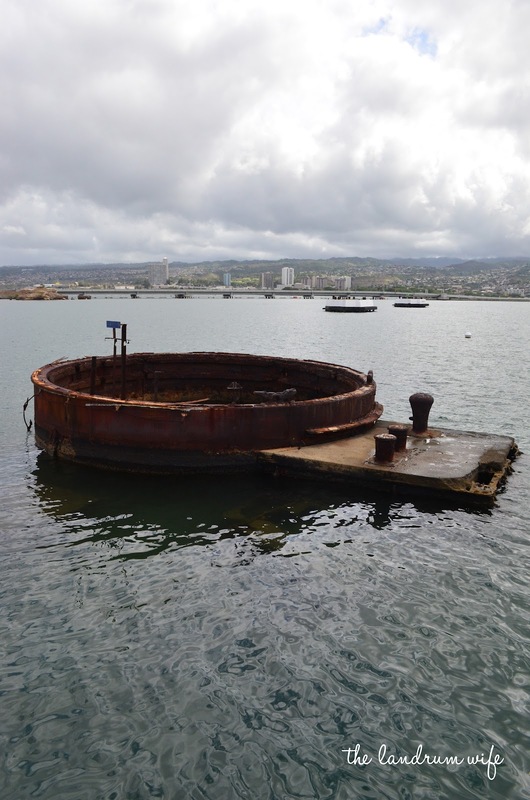 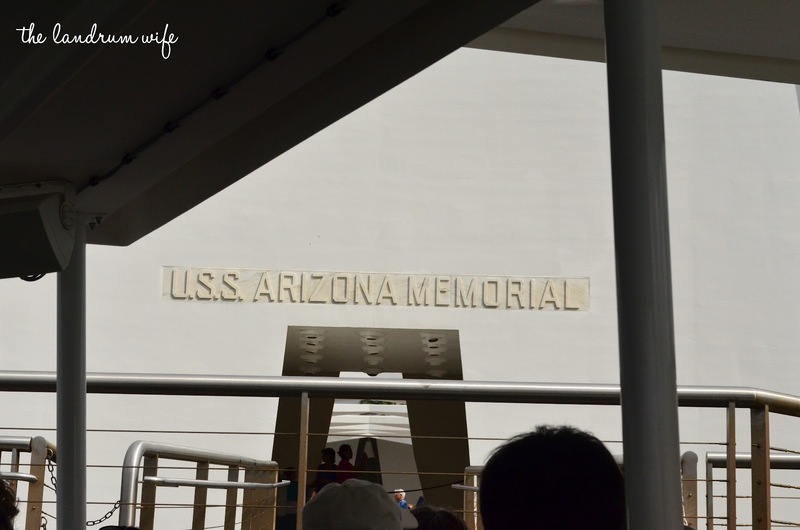 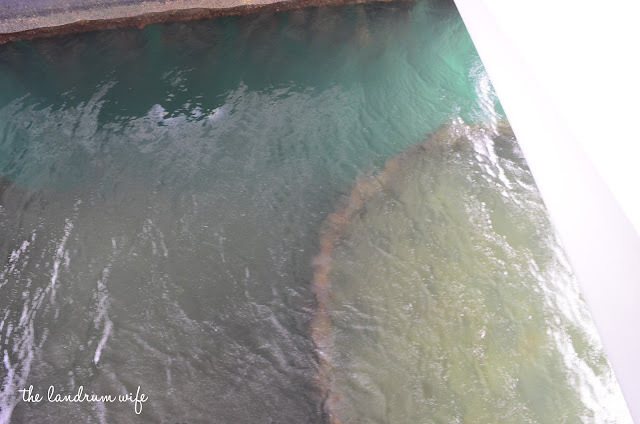 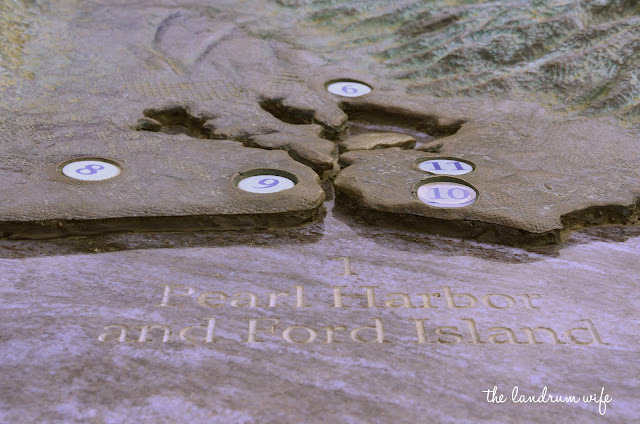 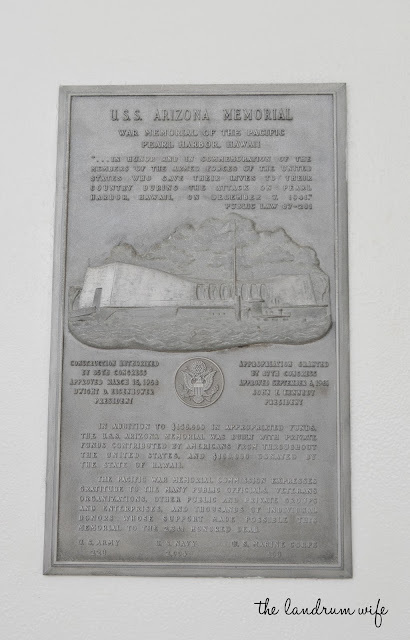 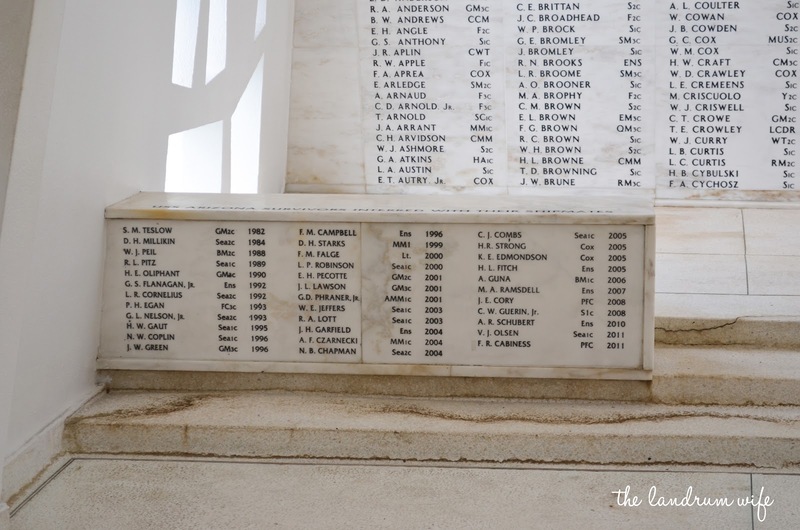 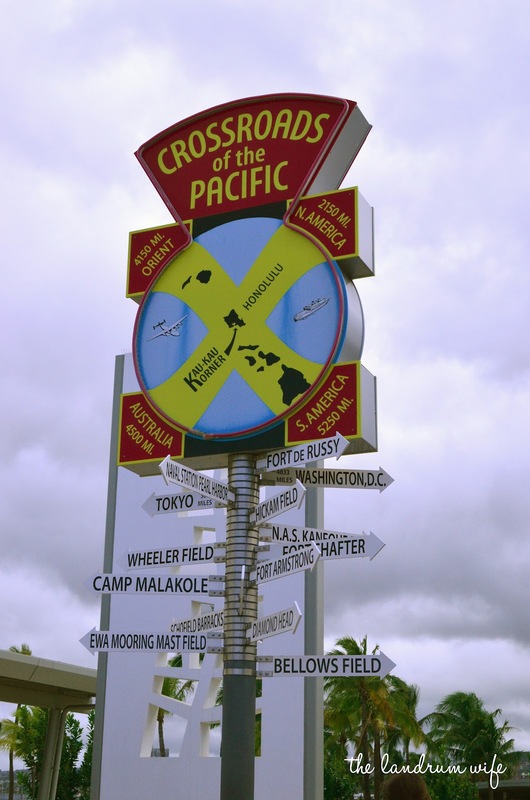 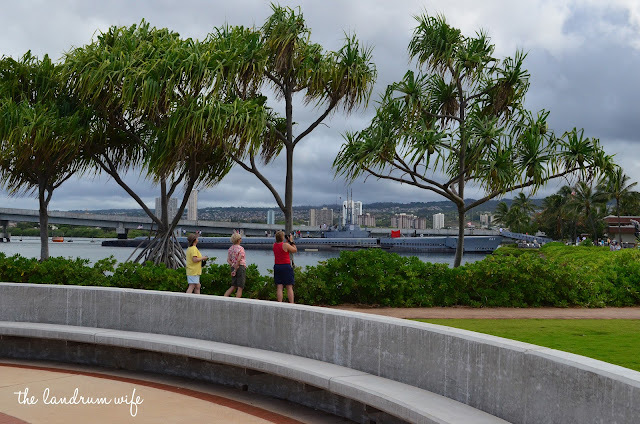 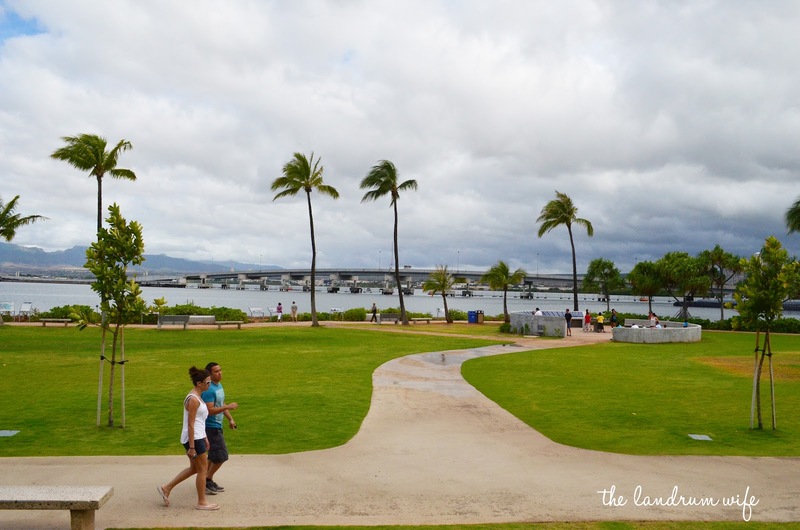 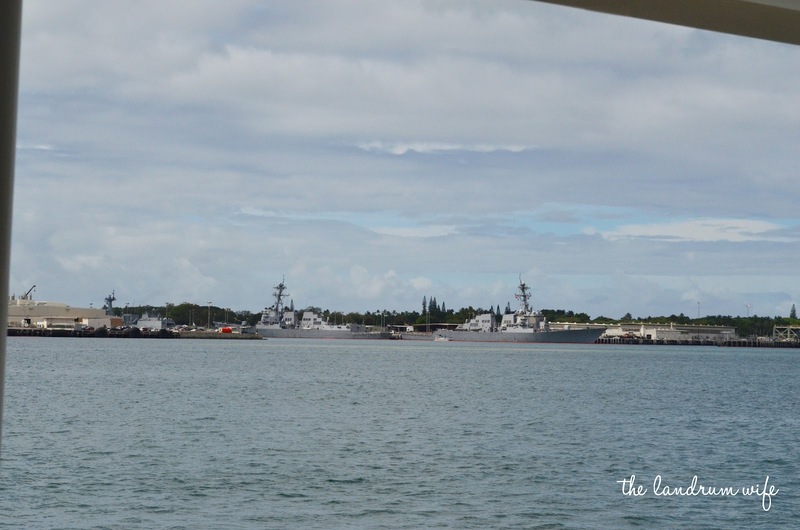 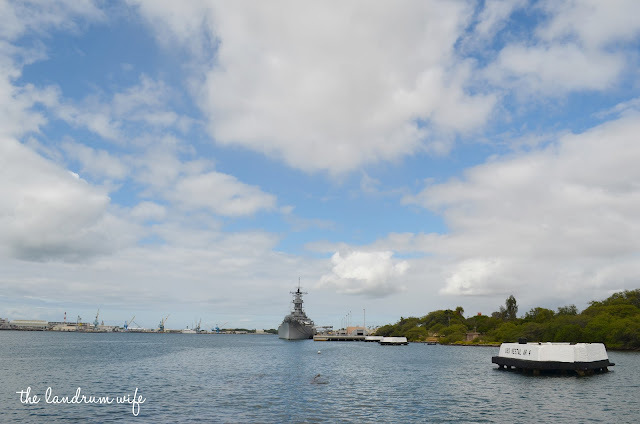 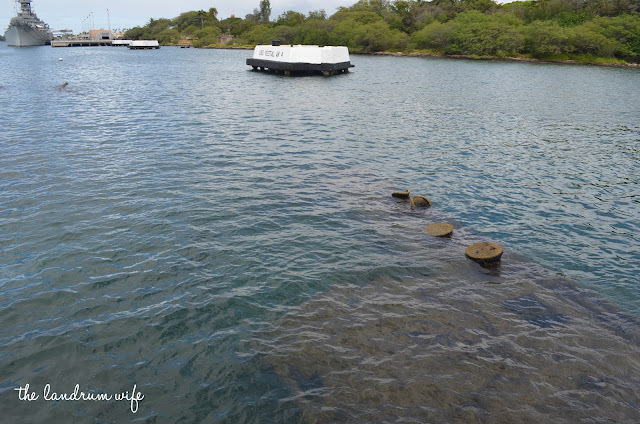 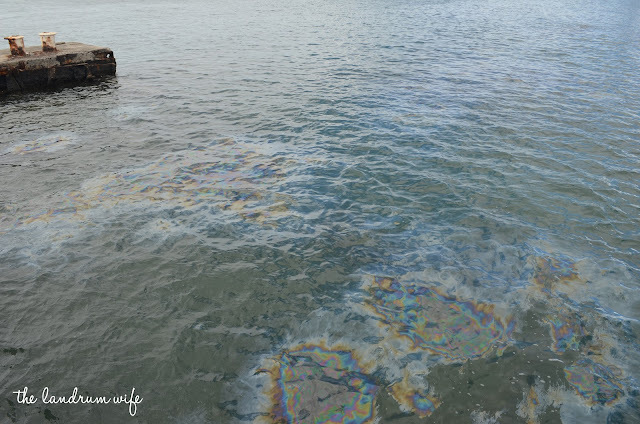 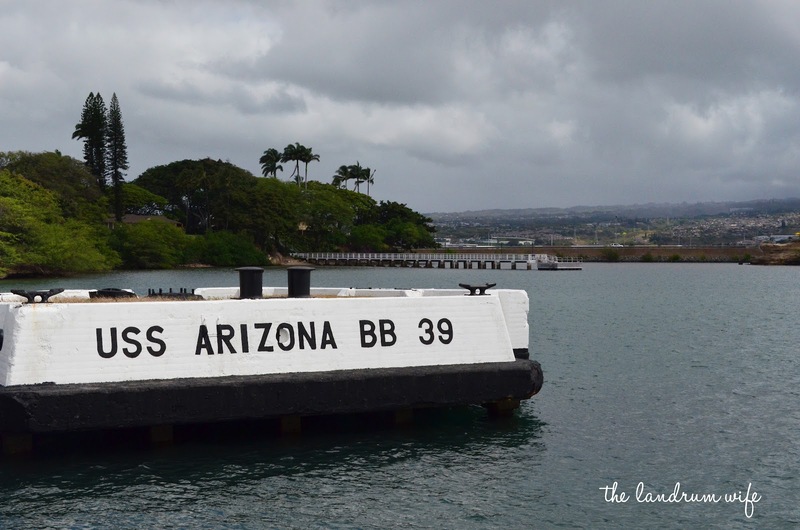 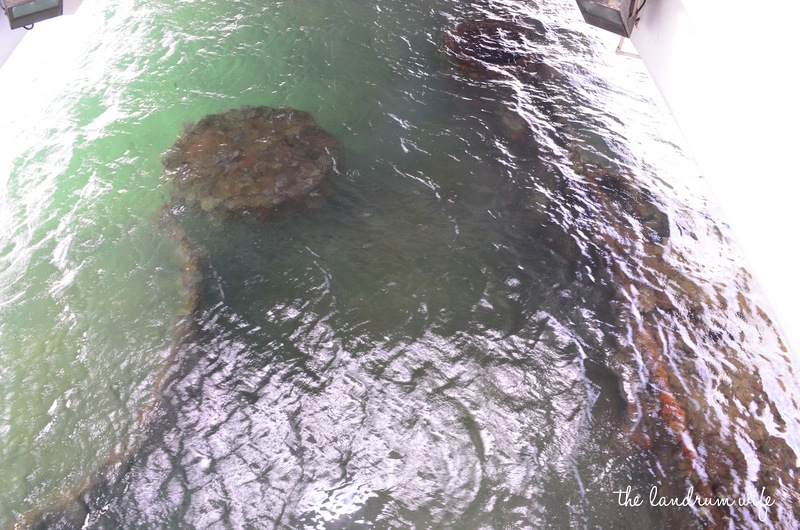 In honor of Pearl Harbor Day, and because Mr. L and I will be going to the memorial this weekend, I'm republishing this post describing a visit to the USS Arizona Memorial I took with some friends back during the summer. 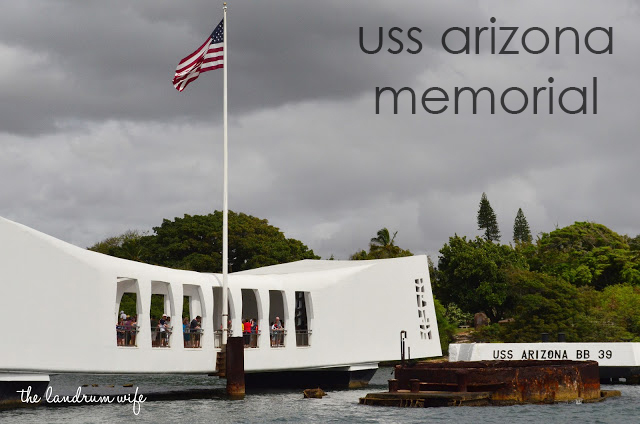 I feel blessed and humbled to live in not only such a beautiful place, but also a historically rich and significant one, and I know as long as we live here the images and memories of that day will always be a presence on our hearts. 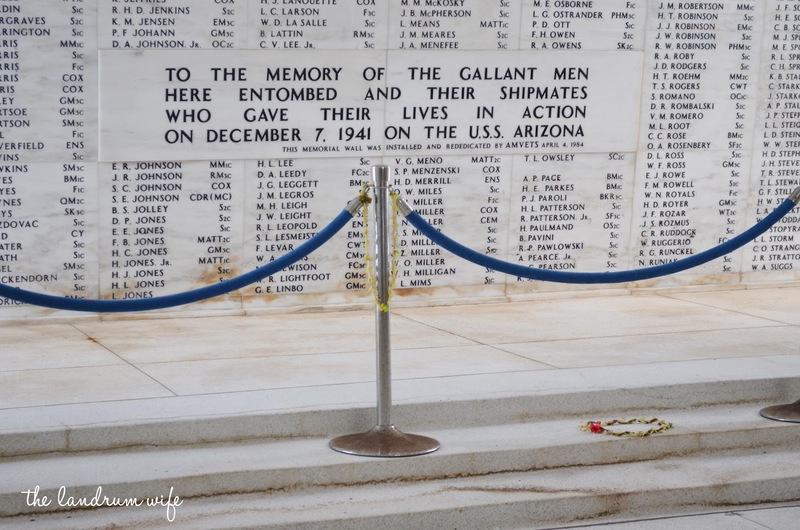 Let us never forget the actions and the people involved in this event that occurred 71 years ago today. 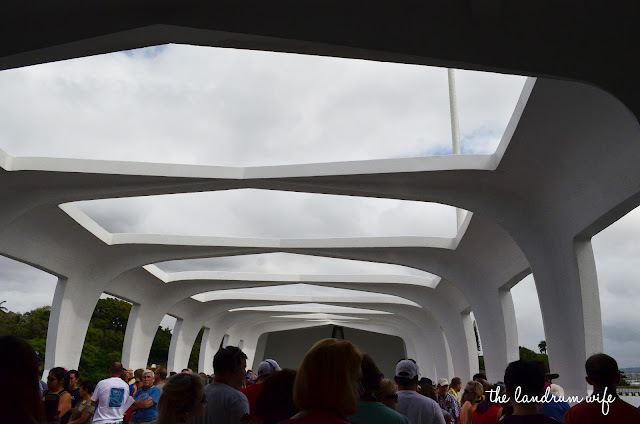 It's a little difficult to describe exactly what I was feeling, but I was definitely emotional. It was a little haunting, and you could read the sorrow on some of the other people's faces around me. 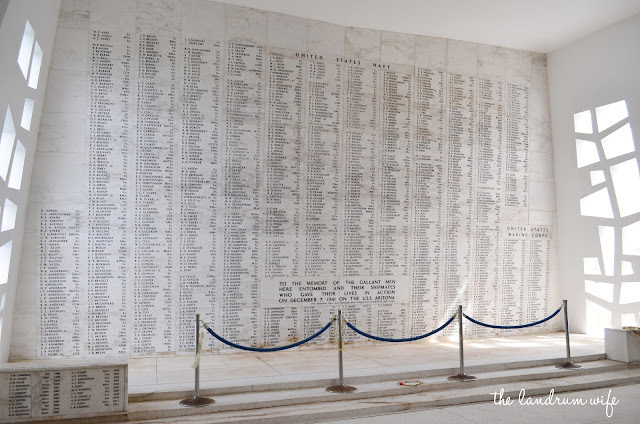 At one point I saw a man so affected that he was openly weeping, and it was quite moving. 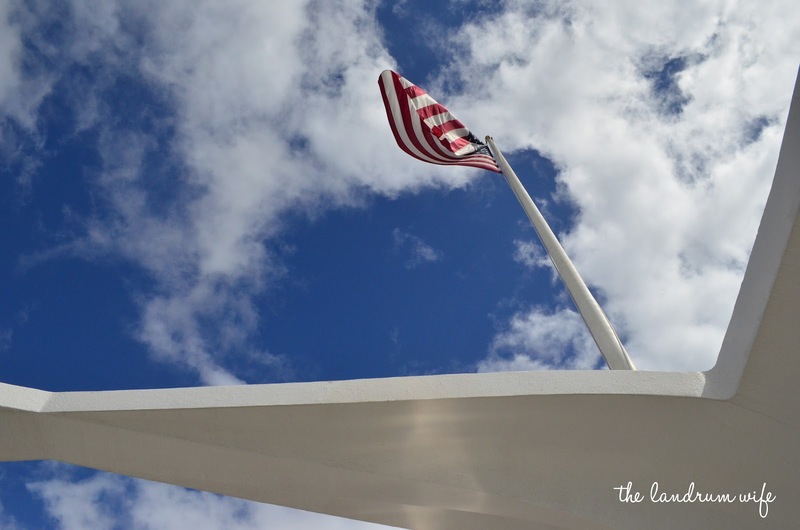 While I was pondering the somber scene, I looked up and saw this flag waving in the wind with beautiful blue skies behind it (from the other pictures you can tell it was an overcast morning), and I felt a little more at peace.